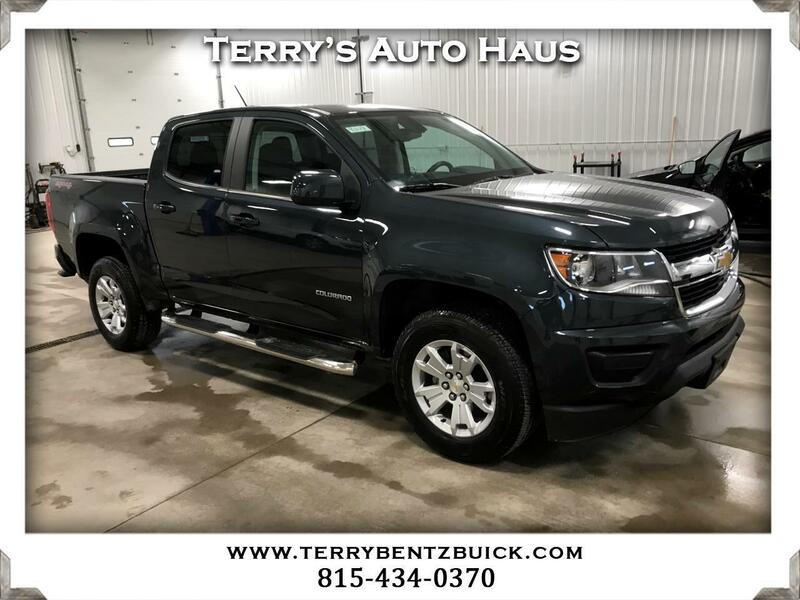 *THIS IS LOCATED AT TERRY'S AUTO HAUS IN OTTAWA, IL , TO SCHEDULE A TEST DRIVE, CALL 815-712-6179* 2018 CHEVROLET LT CREW CAB 4WD, 3.6 LITER V6, AUTOMATIC, A/C, POWER SEAT, WINDOWS, LOCKS, MIRRORS, TILT, CRUISE, ALLOYED WHEELS, AM/FM/CD RADIO, BACK UP CAMERA, BLUETOOTH, STEERING WHEEL CONTROLS, TO SCHEDULE A TEST DRIVE, CALL JOHN, CASSIDY, OR ZACH CALL 815-434-0370 WARRANTY: Basic: 3 Years/36,000 Miles Drivetrain: 5 Years/60,000 Miles Corrosion: 6 Years/36,000 Miles Roadside Assistance: 5 Years/100,000 Miles With having reputation for being one of the most dependable vehicles on the road,this model won't let you down. The Colorado is as tough as they come. This unit handles exceptionally well in the snow and ice.